The Christian life is often referred to as a journey or a process. Being rooted in a healthy, local church is the primary way a person grows and develops along the journey. 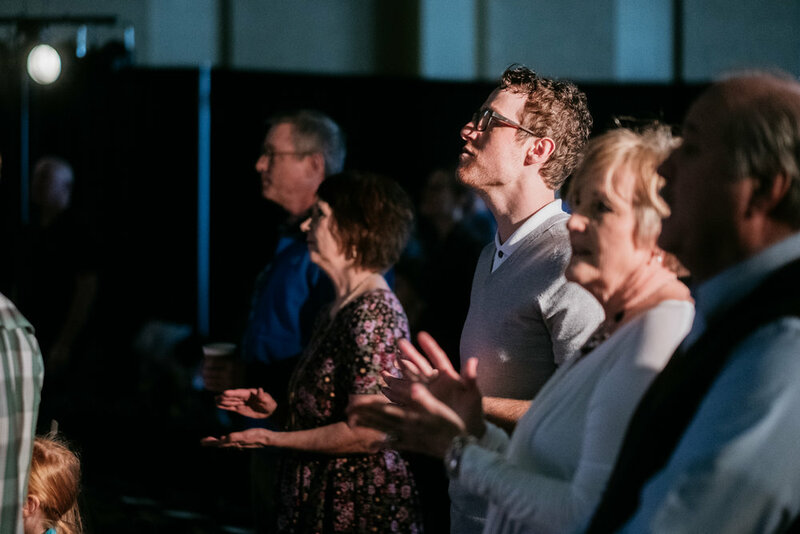 At Northwest Community Church our spiritual growth process is very simple: Connect, Live, Serve, Grow. This process is designed to help people from all stages of life learn how to take the next step in their spiritual journey. One of the most basic needs in all of life is to worship. Why? Because we were designed to worship and relate to God. Most of life will not make sense until we are connected to our Heavenly Father. That is why the focus of our Sunday worship services at Northwest Community Church is on helping people connect with God through practical Bible teaching and worship. Northwest is not simply a church with community groups, but rather we are a church of community groups. Community groups are the primary way we experience the gospel, mature biblically, and engage in ministry together. God wants us to be good stewards of the things he has given us. People often associate stewardship only with money, but God also wants us to use our time, gifts, talents, and possessions in ways that help other people and strengthen the local church. It might sound crazy but one of the best ways to grow spiritually is by stepping out of your comfort zone and serving on one of the many ministry teams developing at Northwest Community Church. A healthy Christian should continually strive to lead other people to experience a new life in Christ. Growing in Christ involves helping people connect with God, living in community, serving others, and leading as many people as possible can through the same spiritual growth process along the way. See our NCC Membership Covenant.